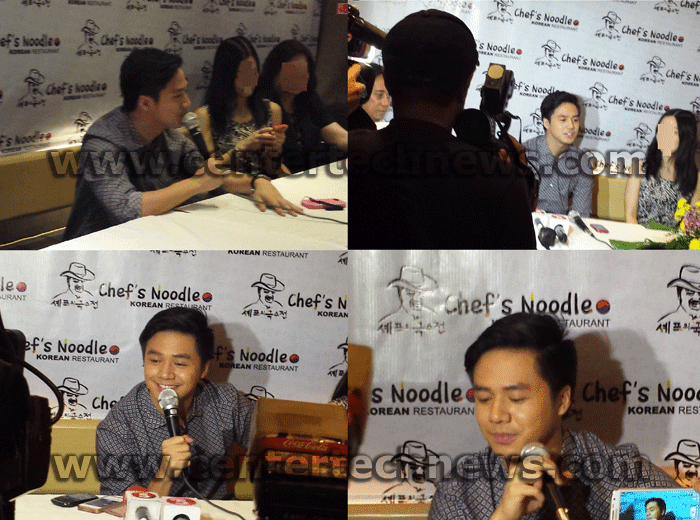 April 10, 2014; Sam Concepcion confirms that the news circulating about Anne Curtis regarding the mistreatment of the actress to him really happened during the interview at Chef's Noodle signing of contract of him as a new endorser. The incident took place after Anne Curtis have decided to attend Vice Ganda’s party at around past midnight. Anne came from the Binibining Pilipinas 2014 pageant because she was one of the hosts. According to reports, Anne drank at the party and approached Sam who was with other guests that time, female guests and at the balcony to be exact. It was then that statements like “Why are you here? Who invited you? You are not classy enough to be here!” was rumored to come out of Anne’s lips and it is also said that her voice was loud enough for other guests to hear. The bashing then continued as she compared the car of Sam Conception as nothing compared to her oldest car. Sam was teary eyed according to the report. After the said incident, there was this statement coming from Sam saying “all is well” between him and Anne Curtis on which according to many proves the fact that the news is really true and it did happen between Sam and Anne. The statement came from the mouth of Sam when he answered some queries coming from the media. At first, the questions were something about Chef’s Noodle because he is one of the endorsers. Then the questions became more personal like the people he desires to invite to dine with him in the restaurant and the like. One of the people that Sam likes to invite on the restaurant is Jasmine Curtis Smith, his rumored girlfriend. Sam explained that Jasmine likes to go to different kinds of restaurants to eat and he will surely enjoy being there. Sam even joked about brining a dog and his neighbors to the restaurant. He was even asked if he often goes out with Jasmine to dine at Korean restaurants and he answered affirmatively. It was then the time when he was asked “how about Anne?, the sister of Jasmine?” and he answered a quick yes. After that conversation, a question was asked about the confrontation between him and Anne and he said that it really did happen and he did not expect it. He even explained that everything is okay between him and Anne and Jasmine despite of what happened. These are some of the questions asked by media to Sam Conception.